Having helped individuals and families get through the difficulty of divorce for more than 20 years, Robert Vukanovich, Attorney at Law, delivers both compassionate understanding and successful legal results for his clients. His approach is to work with the individuals involved to reach the best solution for all. Specializing in mediation as well as litigation, he is able to customize his approach to the demands of the specific situation. Call today to schedule a consultation with our experienced divorce attorney in Battle Ground. When collaborative divorce and/or mediation is possible, Robert works with the family to protect the rights of the individual(s) he is representing while working toward an outcome that best suits the situation. Each couple and every situation is unique. 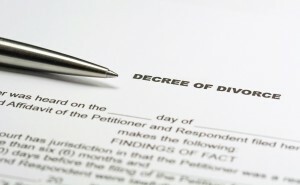 While a collaborative divorce is not always possible, Robert is skilled at navigating the rising emotions inherent with divorce to calm both parties and find a resolution for the dispute. At times when mediation and collaboration are not possible, Robert works with his clients one-on-one to protect their assets and rights, as well as those of their children. Divorce is complicated. Whether you have a large amount of assets, properties, and complex income to divide, or you have a low-asset divorce, our divorce attorney handles each case with the same dedicated attention to detail. Specializing in Washington State law as it relates to divorce and family concerns, Robert has the knowledge and experience to assist in all aspects of life that are impacted by divorce. This includes areas involving child custody, division of debt, assets, inheritance, investments, retirement income, as well as filing and documentation. 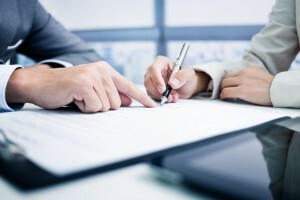 Even a basic uncontested divorce is best done with the advice of a divorce attorney to ensure nothing is left out of the agreement. Of course one of the most sensitive areas to handle during a divorce is the child custody agreement. Our divorce lawyer expertly navigates the complexities of developing a parenting plan, deciding who will be responsible for medical insurance and medical decisions, paying for college tuition, visitation, child support, holiday and vacation planning, and more. Dedicated to your rights, Robert works with the individuals and other attorneys involved to come to a mutual agreement when one can be found. Once the courts have settled on the issue of child custody, it can be very difficult to change. That is why Robert and his team work with professionals and even investigators to offer opinions that can influence your case. Hopefully and mutual agreement can be reached, however, when it is necessary to state your case before the court, Robert fiercely argues for your rights. Contact us today to schedule a consultation with an experienced divorce attorney in Battle Ground.